Anurang and Tarang Jain are billionaire twins from India who happen to be the grandsons of Mahatma Gandhi. Each have a net worth of $1.1 billion. Anurang Jain runs auto parts maker Endurance Technologies Ltd. The value of his company went up 74% since it made its IPO in October 2016. Tarang Jain's net worth comes from his company, Varroc Group, which makes parts for cars and motorcycles. Their biggest customer is Bajaj Auto Ltd., which happens to be their uncle Rahul Bajaj's company. Bajaj remembers sitting in Gandhi's lap as a child. 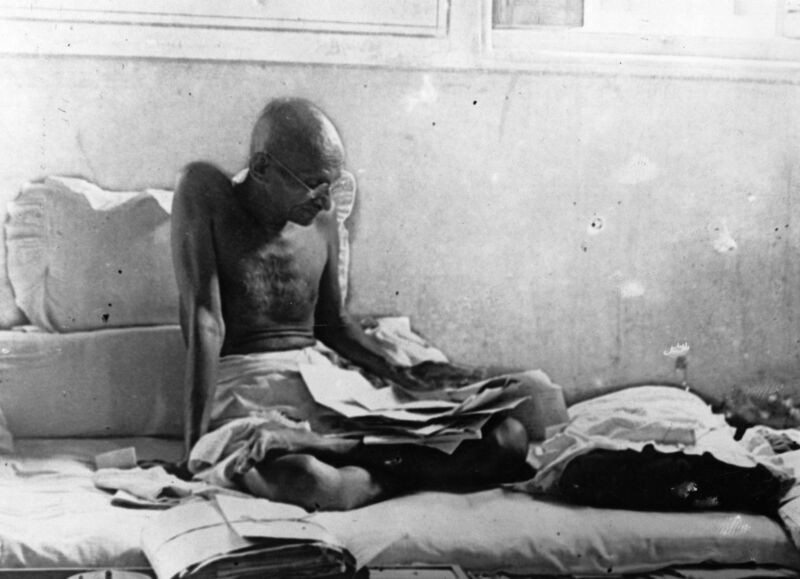 The 78-year-old spent time on an Ashram while growing up and came to the realization as a teenager that his family was not motivated by Gandhi's credo of non-violent political protest. What motivated his family was success. Bajaj went on to become the scooter king of India with a $4.2 billion net worth. Bajaj Auto was started by Rahul's father. Rahul's son Rajiv has been running India's largest exporter of motorcycles and three-wheelers since 2005. Bajaj Auto is publicly traded and run by Rahul and three cousins – Madhur, Niraj, and Shekhar–through the parent company Bajaj Holdings & Investment. Tarang Jain's Varroc is the number one supplier of motorcycle parts in India. The company had $1.5 billion in revenue for the 2017 fiscal year. Anurang Jain's Endurance had $831 million in revenue. Tarang, Anurang, and Rahul's ties to Gandhi go back to Jamnalal Bajaj, a freedom fighter whom Gandhi called his fifth son. In 1926, Jamnalal founded the Bajaj Group. He was also the person who persuaded Gandhi to open an ashram in Maharashtra in 1932. The family lived there until Gandhi's assassination in 1948. In 1942, Rahul's father took over the family business. He founded what would become Bajaj Auto in 1945. When Bajaj Auto expanded into the scooter business, the family's fortunes really took off. The company grew during the 1970s and 80s to become the top scooter brand in India while also expanding to Colombia, Nigeria, and Sri Lanka. Bajaj scooters became a status symbol. In a middle class northern Indian family, you couldn't get married unless the woman's family could give a Bajaj scooter to the groom's family. Scooters were ordered when babies were born and buy them on the black market. The twins have worked to reduce their dependence on Bajaj by courting new customers and acquiring companies that diversify their product line. For instance, Varroc's revenue nearly doubled in 2012 when the company acquired Visteon, a lighting business, for $92 million. Endurance, on the other hand, has expanded its footprint with seven European factories and 18 in India. This network of family businesses has made the Bajaj and Jain families billionaires. That's one way of keeping it all in the family!